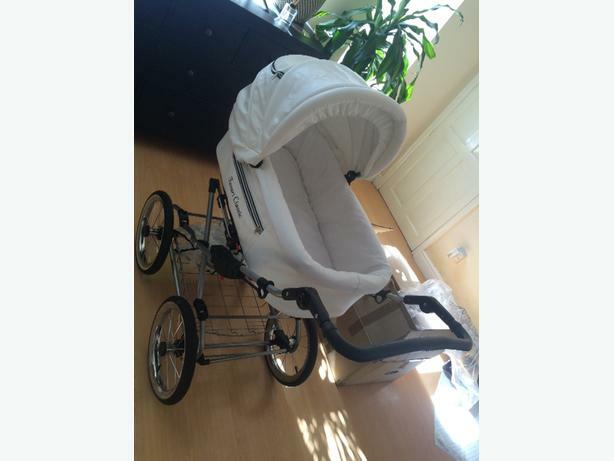 White retro pushchair 3in1. Used only for 4 months in a great condition. Comes with a rain cover.